It seems that winter has finally arrived and brought with it some pretty wild weather. But the work doesn’t stop at Strata, especially with two new show homes to launch! Our new development at Panache in Sherburn in Elmet opened its first two show homes this week along with a brand new sales centre. The beautiful four bed Montreux and five bed Valencia were given the seal of approval before they welcomed excited visitors on opening day. The Valencia is one of Strata’s largest homes to date. Spread over two floors with a private garage and back garden, it has plenty of room for the whole family. The ground floor entrance hall leads to the lounge at the front of house, featuring a large bay window creating lots of natural light. The back of the home has a large kitchen and dining area, bathroom and utility room. Double French doors open out onto the garden and there’s even space for an extra family area or snug. Upstairs you’ll find the five beautiful double bedrooms, including the master suite with dressing area and a second double bedroom with private ensuite. There is also a family bathroom equipped with your choice of Villeroy & Boch suite. 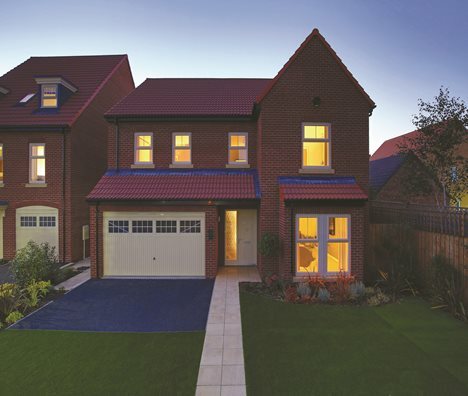 The Montreux is set over three floors and features a private garage, back garden and four spacious bedrooms. On the ground floor sits the garage, bathroom, large family kitchen and dining area. Filled with natural light from the French doors leading to the garden, this open living space is perfect for entertaining. There is also a separate bathroom, utility room and small living area that could be used as either a study, second lounge or family room. On the first floor you’ll find the impressive lounge area, with large windows, high ceilings and lots of space. Across the hall sits the family bathroom and two bedrooms. Upstairs on the second floor is a third bedroom and the impressive master suite with private dressing area, ensuite bathroom and luxurious living space. 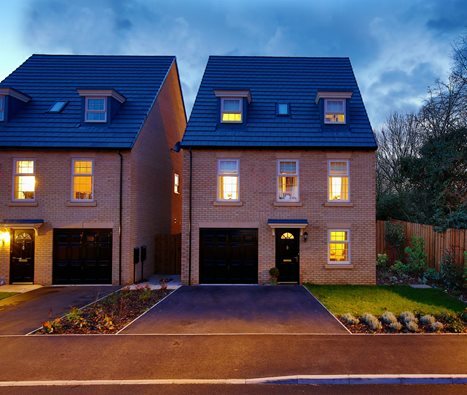 Both these home types are available on our Panache development alongside a selection of four bed homes including the Copenhagen, Madrid, Barcelona and Stockholm. Visit our website for more info regarding family homes at Panache, the local area of Sherburn in Elmet and what our new development could offer you. Our sales centre is now open on site from Thursday to Monday and our Customer Experience Managers will be more than happy to answer any questions while giving you the grand tour!